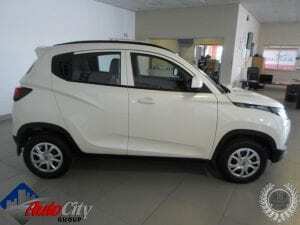 AutoCity Mahindra Heidelburg is an energetic dealership located in the heart of Heidelburg. They stock a wide variety of new Mahindra vehicles and assure quality approved parts and services. AutoCity Mahindra Heidelburg falls under the Autocity Group who have been servicing clients for the last 18 years! General Manager and face of Autocity, Johann van Heerden, together with his team, strive to always provide their clients with the best possible service. 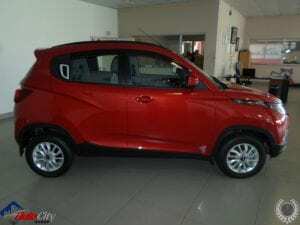 On the agenda is the KUV100 K8 which is hardly regarded as a hatch, but more as a “young” or “compact” SUV. Its rugged exterior is accentuated by the alloy wheels, rear spoiler and roof rails, protective casings on the sides and wheel arches, and, unique high-line rear door handles. Also highlighting the exterior are wraparound headlamps, daytime running lamps and the chrome-accented front and rear fog lights. The interior is sophisticated and alluring with two-tone finishes and piano black inserts. The infotainment system includes Bluetooth, AUX and USB connectivity and can be accessed from the multifunctional steering wheel. If the driver has a smartphone, a Mahindra BlueSense™ Vehicle Management Phone Application is available to download upon purchase. A driver information system is also available in the cluster for your trip information requirements. This five-seater is not to be underestimated with ample room for passengers and luggage. The rear seats fold flat, with an added under-floor storage compartment for when you need to stow laptops or other devices. With the rear seats up, it can load 243-litres and is extendable to 473-litres. For added extras, there are genuine Mahindra accessories to compliment your KUV100. Safety is key in the KUV100 with dual front airbags, auto hazards, ABS and Electric Brakeforce Distribution (EBD), Corner Braking Control (CBC), responsive performance and great fuel economy with its mFalcon engine. Safety is further enhanced with speed-sensing automatic door locks, an immobiliser and remote keyless entry. For your driving comfort: height and tilt adjustable steering wheel with electric power steering. The KUV100 is a refined and inviting motorcar with all the bells and whistles you need to enjoy every second of your ride. The Mahindra KUV100 comes with a 3-year/100 000km warranty, an optional 3-year/50 000km service plan and 3-year roadside assistance. 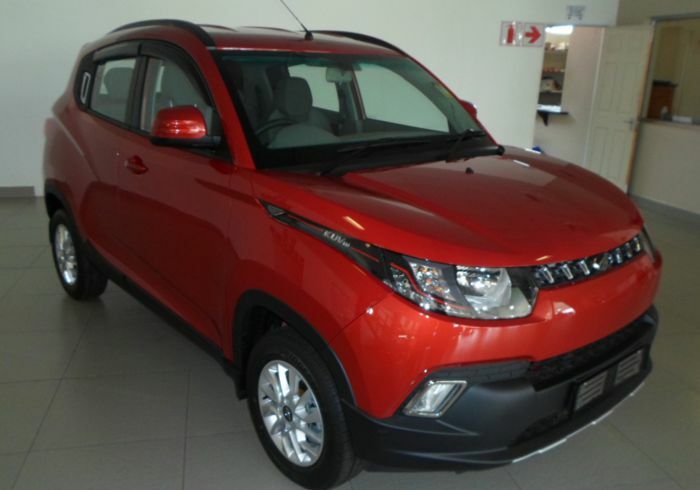 Head to Autocity Mahindra Heidelberg today to get your KUV100 – speak to Dealer Principal, Douw Bezuidenhout; Sales Manager, Pierre Nel or any of their highly trained Sales Executives. Remember to also look out for AutoCity’s wide variety of used vehicles.